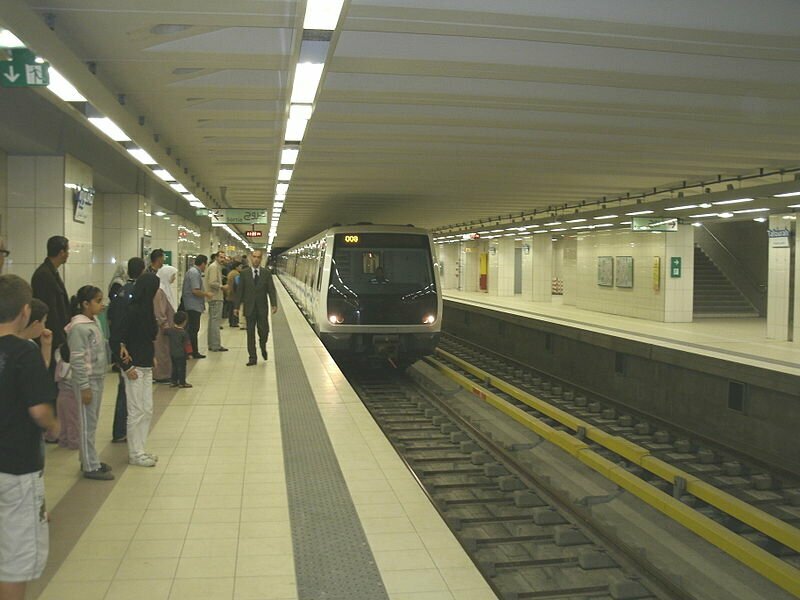 The inauguration of the Metro service in Algiers was carried out on 31st October in the year 2011 after the network underwent development over nearly three decades. It is the first metro service in the capital city of Algeria and only the second African city to boast this means of public transportation. Originally spanning over a distance 9.2 kilometer, covering 10 stations, the Algiers Metro underwent an expansion of 4 kilometers, leading to the opening of 4 more stations. Presently, it spans 13.5 kilometers covering 14 stations. The Algiers Metro service can boast of annual ridership of nearly 16,000,000. Currently with just one line, there are plans of expanding Line 1 and two more lines by the year 2017. Map of Algiers Metro showing various routes. Click on the map to enlarge it or download Algiers Metro Map in PDF. 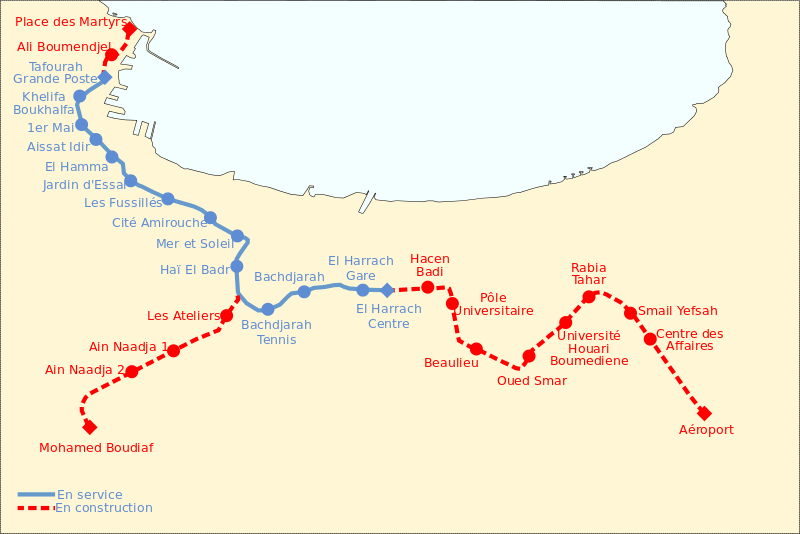 The Line 1 of Algiers Metro service originates from Hai el Badr, situated to the southeast of Nafourah Grande Poste. The line then runs in the northward direction, curving towards the west to run parallel to the coastline of Algeria. Along the line pass important communities of the city like the Algiers Center, Sidi M’Hamed, Belouizdad, Hussein Dey, El Magharia, Bourouba and El Harrach. At the Les Fusilles station in the Hussein Dey region, the metro line meets with the tram route that is operated by the EMA which runs for over 23 kilometers. The Algiers Metro’s daily operation is under the hands of the RATP, who were handed the contract in the year 2007. The line is open from 5:00-23:00, everyday.